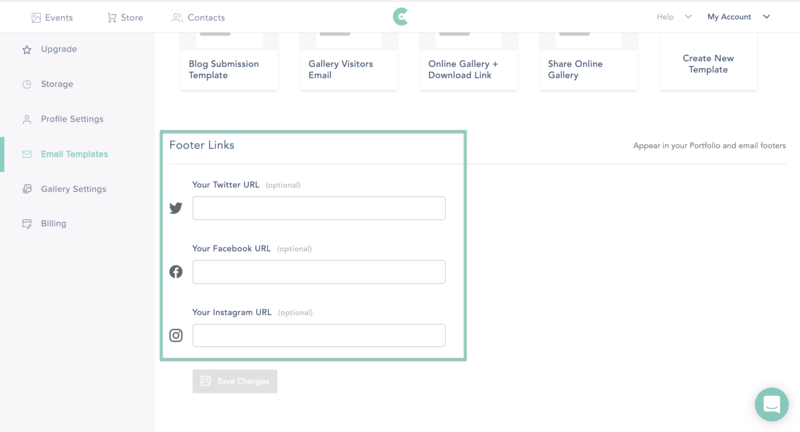 If you have a Facebook, Twitter, Instagram, or Website / Blog account for your business those can be added when you create your account and will appear at the bottom of your CloudSpot emails and in your galleries (if you enable them within each gallery’s settings). 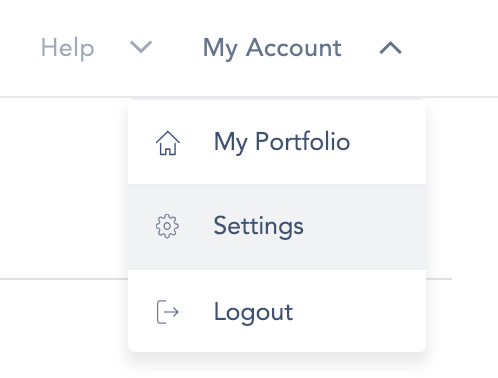 Click on “My Account” in the top right hand corner, and then click on “Settings”. Select the "Email Templates" section then add or edit the links to your social media pages. Enabling clients to share your images on social media is a great way to show off your work!